This is for 1 (one) white transparent silicone adapter. 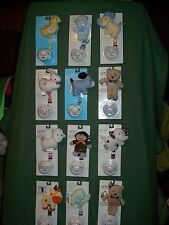 These are able to be used on most types of button style pacifiers. 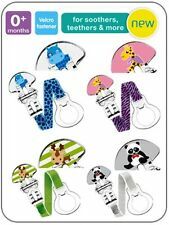 1 White Transparent MAM Ring Button Style Pacifier Adapter. 1 WHITE TRANSPARENT MAM RING BUTTON STYLE PACIFIER ADAPTER. 10 Round Face Suspender. i Craft for Less for other styles, sizes and quantities. The place for all your pacifier making supplies. These would make for a great gift, what an original and unique idea that no one else will have. Great then out and about, no more dirty or lost Sophie, can be used to save other toys too. Here we have Sophie The Giraffe harness made by Chubby Cheeks™. Made with love and care in UK. I AM AN EXPERIENCED DUMMY CLIP MAKER FOR OVER 10 YEARS. CHILDREN SHOULD ALWAYS BE SUPERVISED WHEN USING THE CLIP & SHOULD NEVER BE LEFT ALONE. 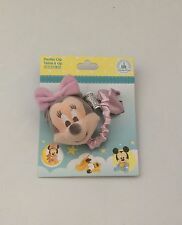 RIBBON DUMMY CLIP WITH MAM ADAPTER ☆🌟 ☆🌟 . ★★★ ONE RIBBON STYLE DUMMY CLIP COMPLETE WITH CLEAR SILICONE MAM ADAPTER★★★. IF YOU WOULD LIKE YOU DUMMY CLIP SOONER. AVAILABLE IN THE FOLLOWING COLOURS. 10 KAM Plastic Pacifier /. The grabbing plastic teeth secure tightly. i Craft for Less for other colors and quantities. You will also find out where you can get free instructions on how to make ribbon pacifier holders. THERE IS DUMBO ON THE CLOP END AND IN BETWEEN THE BEADS THERE IS A SILVER COLOURED MUMMY & BABY ELEPHANT AS SHOWN ON PHOTO 3. I AM AN EXPERIENCED DUMMY CLIP MAKER FOR OVER 10 YEARS. WHAT COLOUR OF THE RIBBON YOU WANT. I AM AN EXPERIENCED DUMMY CLIP MAKER FOR OVER 10 YEARS. YOU CAN CHOOSE FROM THE COMPLETE DISNEY CHARACTERS OR ANY SINGLE CHARACTER AS SHOWN IN THE PHOTOS. THERE IS ALSO A CHARACTER OF YOUR CHOICE THAT GOES IN BETWEEN THE BEADS. CAN WEARING A PACIFIER GET ANY CUTER?! This Teething strap is now INTERCHANGEABLE with a pacifier. Simply take of current pendant and replace with a different pendant or pacifier. NATURAL, ADORABLE AND PERSONAL wooden teething pacifier clip with pendant – Why share germs?. I AM AN EXPERIENCED DUMMY CLIP MAKER FOR OVER 10 YEARS. IF A CHOICE IS NOT MADE PLAIN WHITE ONES WILL BE PUT ON THE CLIP. CHILDREN SHOULD ALWAYS BE SUPERVISED WHEN USING THE CLIP & SHOULD NEVER BE LEFT ALONE. FABULOUS **LOL DOLLS** PERSONALISED DUMMY CLIP, 2 DESIGNS! ANY NAME, ANY COLOUR! I AM AN EXPERIENCED DUMMY CLIP MAKER FOR OVER 10 YEARS. THERE ARE 2 DIFFERENT DESIGNS TO GO ON THE CLIP END & THERE IS A DUMMY IN BETWEEN THE BEADS AS SHOWN IN THE PHOTOS. CHILDREN SHOULD ALWAYS BE SUPERVISED WHEN USING THE CLIP & SHOULD NEVER BE LEFT ALONE.ALWAYS CHECK REGULARLY FOR WEAR OR FAULTS DUE TO SMALL PARTS. NEW UNIVERSAL DESIGN: Our exclusive set of pacifier leashes are made with the best of quality and wonderful new designs that look even nicer in person with your baby! This set includes 10 different designs and the colors are very rich and also help stimulate your baby's brain. 👷**BOB THE BUILDER** PERSONALISED DUMMY CLIP, ANY NAME, ANY COLOUR BEADS, L@@K! I AM AN EXPERIENCED DUMMY CLIP MAKER FOR OVER 10 YEARS. THERE IS A BOB THE BUILDER CHARM ON THE CLIP END AS SHOWN IN THE PHOTOS &. CHILDREN SHOULD ALWAYS BE SUPERVISED WHEN USING THE CLIP & SHOULD NEVER BE LEFT ALONE. To attach a teether toy or pacifier, simply slip cord through pacifier and slide pacifier clip through to make a slip knot. This pacifier clip is best cleaned by wiping with a damp cloth. Never put your baby to sleep while wearing pacifier holder. This is for 1 (one) light blue transparent silicone adapter. 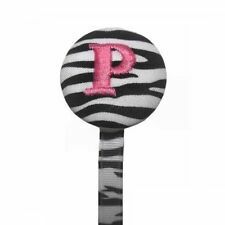 These are able to be used on most types of button style pacifiers. 1 Light Blue Transparent MAM Ring Button Style Pacifier Adapter. 1 LIGHT BLUE TRANSPARENT MAM RING BUTTON STYLE PACIFIER ADAPTER. 3 for £5 free postage see my other ribbons and handmade items Safety Advice - Please Read Baby/child Should Not be Left alone or Left Sleeping with the Clip - Clips should not be used as a Teething Ring, Due to Small Parts Used in the Making of these Clips. As With All Baby Items - Clips should have regular Checks for Wear and Tear, and should be discarded should any be found that could cause Danger or Harm to your Baby/Child. Buyer Assumes all Responsibility for the Use of the Clips. Maybe buy as a Baby shower gift. 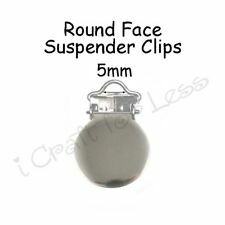 25 Round Face Suspender. i Craft for Less for other styles, sizes and quantities. The place for all your pacifier making supplies. These would make for a great gift, what an original and unique idea that no one else will have. To attach a toy or pacifier, simply slip cord through pacifier and slide pacifier clip through to make a slip knot. Stylish unisex pacifier clip in white color with cute elephant. This pacifier clip is best cleaned by wiping with a dry cloth. Handmade from a Chanel ribbon dummy clips, perfect as a gift for that little fashionista in your life. 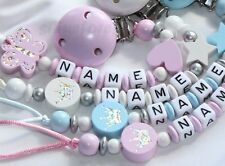 The perfect baby accessory to stop those dummies getting lost and great outfit finisher with a personalised touch. They're made with the best of care and checked for durability before dispatch, but we do suggest that you check regularly for ware & tear. Made ofsoft velvet witha jingle bell to amuse baby. Matching Pacifier available. Get the bling without the cha-ching. Perfect baby shower gift. Never used 2 1/4" hard plastic Disney Winnie the Pooh The First Years Winnie the Pooh pacifier attacher clip. Unique for the Pooh collector. What you see is what you will receive. BooginHead Sippigrip Baby Toddler Cup Holder Pink Hearts LOT OF TWO (2)! BooginHead Sippigrip Baby Toddler Cup Holder Green Flowers LOT OF TWO (2)! BooginHead Sippigrip Baby Toddler Cup Holder Purple Daisy LOT OF TWO (2)!